Ask 20 people to explain web design and you’re likely to get 20 different answers. A computer programmer and graphic designer look at website design from a different perspective but there’re common features as well. You can easily find a pool of intriguing websites where each is unique and dazzling to a viewer. So, how do we classify a good design from the bad? Even two distinct sites have some overarching themes that designers focus on regardless of destination. Here’s the recipe for exemplary web designs. 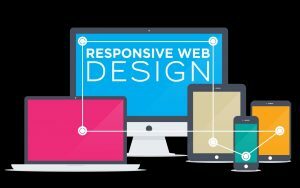 Beginning and ending of a good website design depend on content placement that has to be equally outstanding and exceptional. If a website doesn’t have engaging, precise and compelling content, visitors will usually look for finer alternatives. To achieve uniqueness, think out-of-the-box but whatever you post, keep it simple and grammatically correct. Another factor of a good web design is multimedia content except for a block of written content. Users are more enthralled with high definition images, interactive audio-visual and animation so keep it balanced with text. Don’t make a site excessively heavy or it’ll be difficult to browse and avoid deploying unethical or discriminating images. Your page must be a unique experience for all visitors and not something purely artistic that shouldn’t give viewers a headache. Colours should blend well with the entire page for aesthetic appeal. Remember, not every internet user is computer savvy thus, likely to lose track of a site if it’s poorly designed or confusing. If you wish people to return back after a single visit, make sure everything is easy to find. Meanwhile, even if you manage to accumulate computer savvy users, keep a site simple and navigational. Colour scheme or website theme matters little, however, ensure to keep everything consistent and balanced; that goes for all web pages. The approach of web design for all pages must be identical as discreteness would only confuse visitors. Include features such as directional links, contact information and inquiry forms. User experience is at the core of every successful website. Unless you’re developing a site or blog page for your eyes only or simply to use as a journal; make sure images, links, texts and everything should be 100 percent as per your audience. Keep text fonts simple and identical all over. Crammed content over web pages or lackluster design indicates unprofessionalism. No doubt website deliver content but you don’t need to break things up, don’t overwhelm your audience. Headers, footers, margins and other technical aspects should be in harmony to make a website user-friendly. Whatever images you’ve uploaded, they should be relevant to products and services you’re offering and the same goes for promotional content. Even if you’re providing cheap design, it doesn’t have to be overly extravagant. In fact, keep it clean, simple, spacious and easy to browse. These are a few secrets to excellent web designs. Carefully understand all aspects before leaping blindly! Previous Previous post: How Can Infographics Help Your Brand?